Just in time for holiday visits, New Year’s Eve celebrations and uh, New Year’s Day morning-after selfies (if you dare), Rebecca Minkoff has introduced yet another must-have tech accessory: The new rose gold Glow Selfie iPhone Case designed for iPhone 7, but reportedly also fitting the iPhone 6. The swanky metallic case is all Rebecca’s style, but the soft glow of the lights around the rim were created in collab with the engineers at GE lighting. At the push of a button, your protective case turns into a source of high-quality, high-def light that’s designed to flatter, and far better than your built-in flash at that. So if you’ve got “read more books,” “give more to charity” and “take more flattering selfies” on your New Year’s resolution list, hey — at least you’ve got one you can cross off right now. Plus, what a better excuse for all you parents to actually get in the photo with the kids for a change, right? 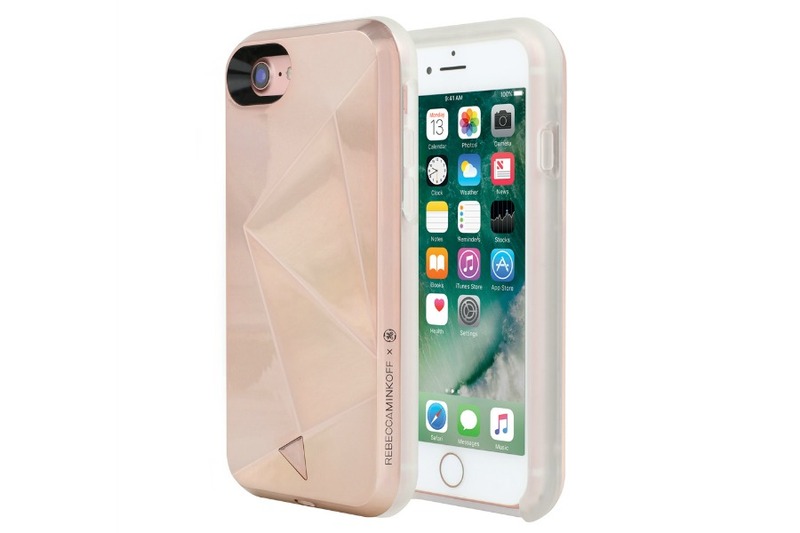 Find the Rebecca Minkoff Glow Selfie iPhone Case (also known as the Lit By GE Selfie iPhone Case online at Rebecca Minkoff for $60. CMP is an rstyle affiliate.